RQ Home’s Signature magnetic wrought iron wall plate collection lends a serious, strong presence that works well with any color. 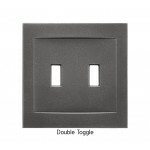 The slightly convex face adds a subtle layer of complexity. 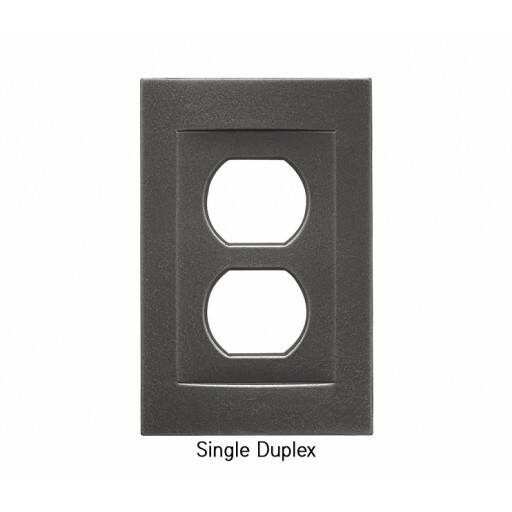 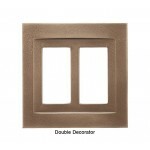 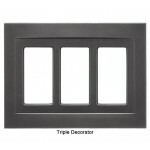 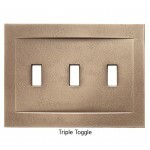 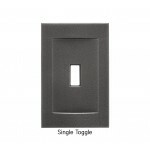 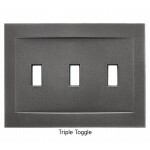 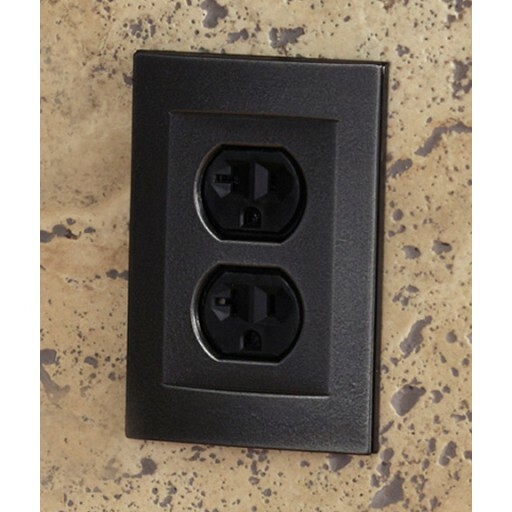 These cast-metal wall plates have a refined dark finish with no visible screws that attaches easily to any light fixture or electrical outlet. Single Duplex: 3.25” x 5” / .32 lb..